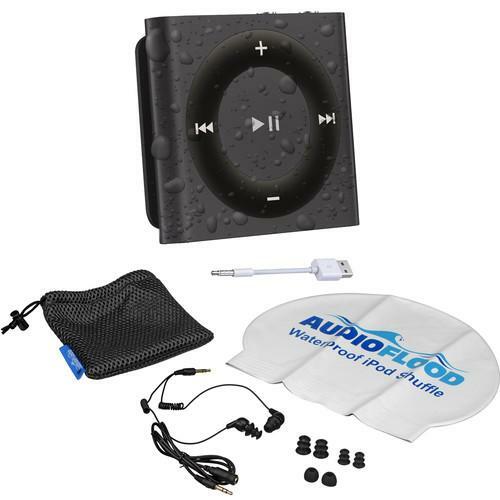 We recommend checking out our discussion threads on the AUDIOFLOOD 2GB Waterproof iPod Bundle (Bright Pink) NPI-B005, which address similar problems with connecting and setting up iPods & Media Players AUDIOFLOOD. The user manual for the AUDIOFLOOD 2GB Waterproof iPod Bundle (Bright Pink) NPI-B005 provides necessary instructions for the proper use of the product TVs & Entertainment - Portable Audio - iPods & Media Players. Take your songs beneath the sea with the bright pink AudioFlood 2GB Waterproof iPod Bundle. 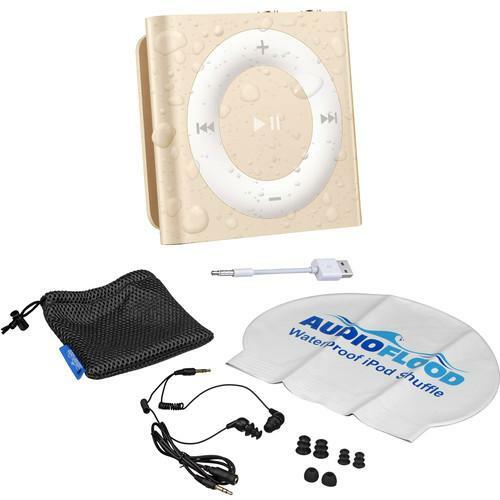 This bundle consists of a waterproof 2GB Apple iPod Shuffle, waterproof earbuds with six pairs of earbud tips, an earbud extension cable, standard Apple earbuds, a mesh swim bag, and a swim cap. The iPod can be clipped to goggles, swim caps, bathing suits, and more. 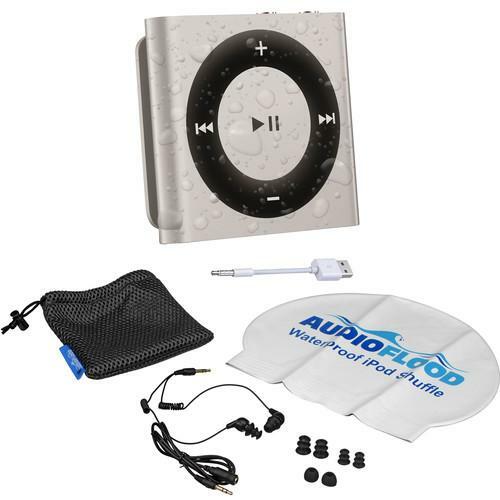 The AudioFlood iPod is waterproof to 250' thanks to a layer of soft, corrosion-resistant sealant that keeps water away from its interior and exterior. The sealant is applied at room temperature to avoid damaging the lithium-ion battery, which lasts for up to 15 hours. For use in a wide variety of environments, the iPod can be used in chlorinated pool water as well as fresh and salt water. 2GB of internal memory provides enough space for approximately 500 songs, which play via the included waterproof short-cord earbuds. The earbuds' coiled cable reduces tangling and drag while underwater, and a straight extension cable lets you convert them for standard use. Three sizes of flanged and non-flanged earbud tips help you find a comfortable fit. The VoiceOver feature provides song title, playlist name, or battery status at the touch of a button. If you own a AUDIOFLOOD ipods & media players and have a user manual in electronic form, you can upload it to this website using the link on the right side of the screen. Box Dimensions (LxWxH) 6.4 x 5.8 x 1.5"
The user manual for the AUDIOFLOOD 2GB Waterproof iPod Bundle (Bright Pink) NPI-B005 can be downloaded in .pdf format if it did not come with your new ipods & media players, although the seller is required to supply one. It is also quite common that customers throw out the user manual with the box, or put the CD away somewhere and then can’t find it. That’s why we and other AUDIOFLOOD users keep a unique electronic library for AUDIOFLOOD ipods & media playerss, where you can use our link to download the user manual for the AUDIOFLOOD 2GB Waterproof iPod Bundle (Bright Pink) NPI-B005. 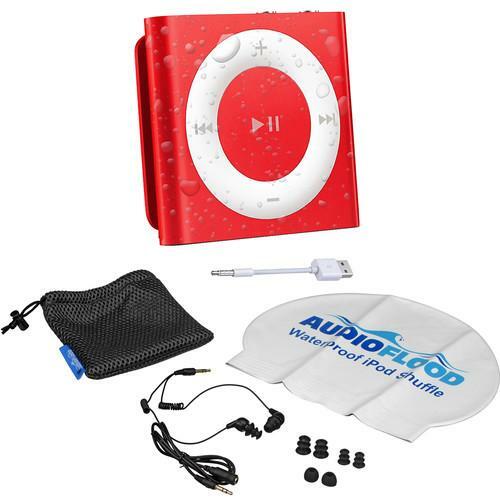 The user manual lists all of the functions of the AUDIOFLOOD 2GB Waterproof iPod Bundle (Bright Pink) NPI-B005, all the basic and advanced features and tells you how to use the ipods & media players. The manual also provides troubleshooting for common problems. Even greater detail is provided by the service manual, which is not typically shipped with the product, but which can often be downloaded from AUDIOFLOOD service. If you want to help expand our database, you can upload a link to this website to download a user manual or service manual, ideally in .pdf format. These pages are created by you – users of the AUDIOFLOOD 2GB Waterproof iPod Bundle (Bright Pink) NPI-B005. User manuals are also available on the AUDIOFLOOD website under TVs & Entertainment - Portable Audio - iPods & Media Players.